You can't have a great customer experience without the person on the other end of the phone delivering it to you. Here are the top five attributes that will lead to great customer experience and, ultimately, more sales and customer loyalty. Dealerships and employees should consistently innovate and do it with the customer in mind. There’s always more to imagine! When we talk about innovation consider things like, will customers accept great technology? You can order groceries from Amazon Fresh using your Amazon Alexa, which is also your personal secretary with an appointment reminder and many other conveniences. Technology like Alexa has become the day-to-day norm. With all this advanced technology that we use every day, it creates a certain expectation for when a person calls a dealership. If that caller can't get an answer to a simple question, it becomes very, very frustrating. Innovations in technology and customer service have to keep the customer and the way daily trends move at top-of-mind. Be driven to do more than answer a question. If you see a problem, work on a solution. Ambition is all about a proactive mindset to go beyond a necessary task and deliver a better experience. 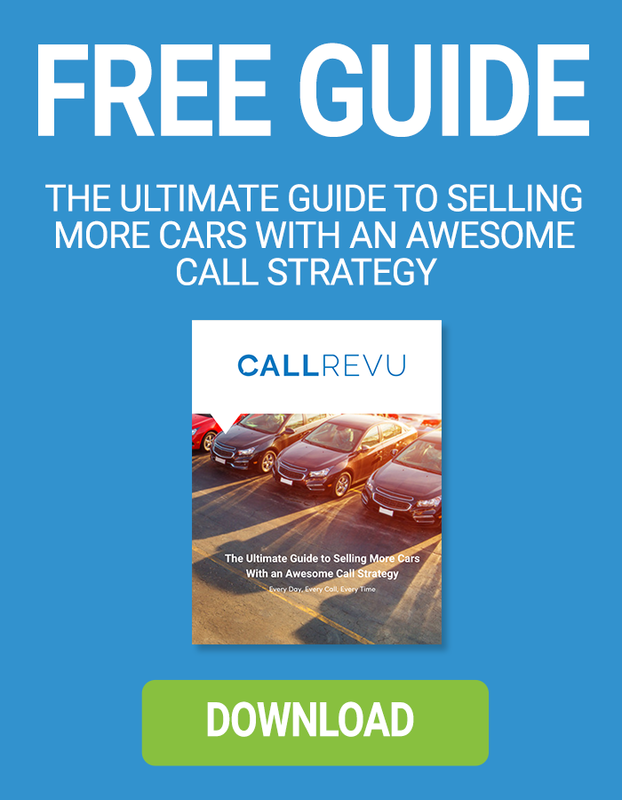 For example, if you answer a call and someone says “Hi I’m calling about a Jeep on your website,” this is a clear signal that this caller has no relationship with your dealership. You can answer questions about the Jeep, plain and simple, but it’s also an opportunity to make a great first impression! This caller needs special attention, be ambitious and build rapport with the customer by being genuine. Have great passion and put it into what you do! We know that when an employee is passionate, and that passion shows through, customers respond to it positively. You’re generating excitement and enthusiasm which, in turn, improves your odds that the customer will come in and show for the appointment you set with them.When callers hear an employee who’s excited about features, excited about answering callers questions, that’s when connections are made. A call-back should be exciting; it should be a great experience in itself that leads to the next step. Be flexible. Things change, so change with them. Often we're so used to doing things the way that we've always done them that we get stuck in a stale routine. Customer needs and expectations change, and the best thing you can do is adapt to them with a willingness to listen for clues and ask questions so that you can get the customer to open up. Not everybody embraces change, and many like to do things the way they have always done them, staying in their comfort zone. It’s critical to keep up with the advancement of what customers expect. For example, more and more customers prefer text over phone calls so having text-enabled phone lines could reduce hang-upsThat kind of flexibility and willingness to change and do things a little differently––plus being customer-centric––that's an attribute that will serve employees and customers. Work together. We all play a crucial role in the success, and all of the attributes at work in the strategy toward success are intertwined. A quality that relates to everyone, not just the individual, is the teamwork aspect.Dealerships are all in the business of customer service or customer experience, so it’s everyone's job to deliver the best possible experience. Internal teams need to support one another to lead to that great customer experience. Every business must work together and be cohesive as a team to deliver excellent customer experience. A team with a shared vision, unified strategy, and excellent communication will undoubtedly see considerable success.